Is website speed impact to ranking? This is very common question occur in those minds who have a website, the answer against this question is YES website speed impact to ranking and it is also a ranking factor. It is a different ting that it not impact more than 1%, but it is important. Generally site speed impact on visitor mind in this fast www world who have time to wait for site load I think not I and also you. We just close that website that is not much important for us and take more than 10 sec to open. Many of us are not waiting till 10 sec. Think! If you website close without any session it increase bounce rat of your sit and bounce rate shows your site is not good and also not successful to engaged your visitor, means you don’t have a quality website and informative content, and search engines shown a relevant search result in their top 10 result. That’s why website speed includes in ranking factor list. It is not a big factor but matter. If you think that your site not have good speed score you can optimized it for improving it you need take some steps for this. Before doing anything you need to calculate your website load times for this there are some good and free tools are available in WWW from all of them here some that I use tools.pingdom.com/fpt/, webpagetest.org/ and developers.google.com/speed/pagespeed/insights/ you can use any of them all are help full mostly I use first and last. A server is also a factor to increasing and decreasing page speed. So if you have a low website speed then check your server speed if it is slow then you need to a faster server you can shift to VPS (Virtual Private Server) or even to a dedicated server. The code and images are also impact your website speed. 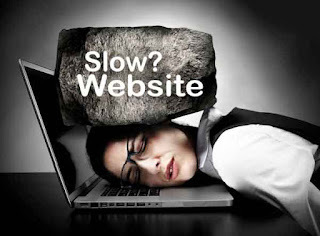 A site has Java Script, CSS, PHP, HTML and other cods that can reduce website speed. So you need to optimized them, less code can speed up your website load time. Images are also decreasing your website speed. When you go to optimize your website images you need to care their size and extension. You should the image size in KB’s as can you make less and also you save images in JPEG and PNG form. These images take less time to load. There are something that you keep in mind, flash are also take much time to take load time so avoid it. Yes am 100% agree with you.